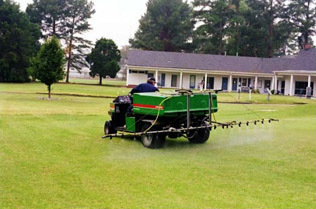 Green Alert SS is a unique water soluble spray colorant for use with herbicides, fungicides, insecticides, grass growth retardants, wetting agents and liquid fertilizers. Blue Alert SS ensures accurately, uniformly and economically applied products. For more information click here.